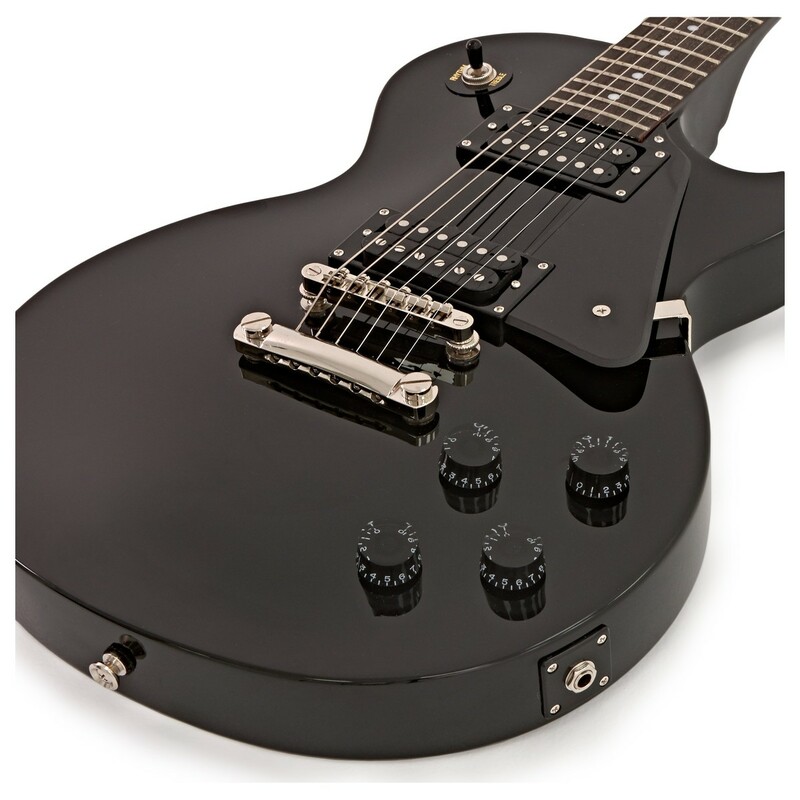 The Epiphone Les Paul Studio is an iconic, no-frills electric guitar, offering the classic look, feel and tone of a Les Paul at a more affordable price. 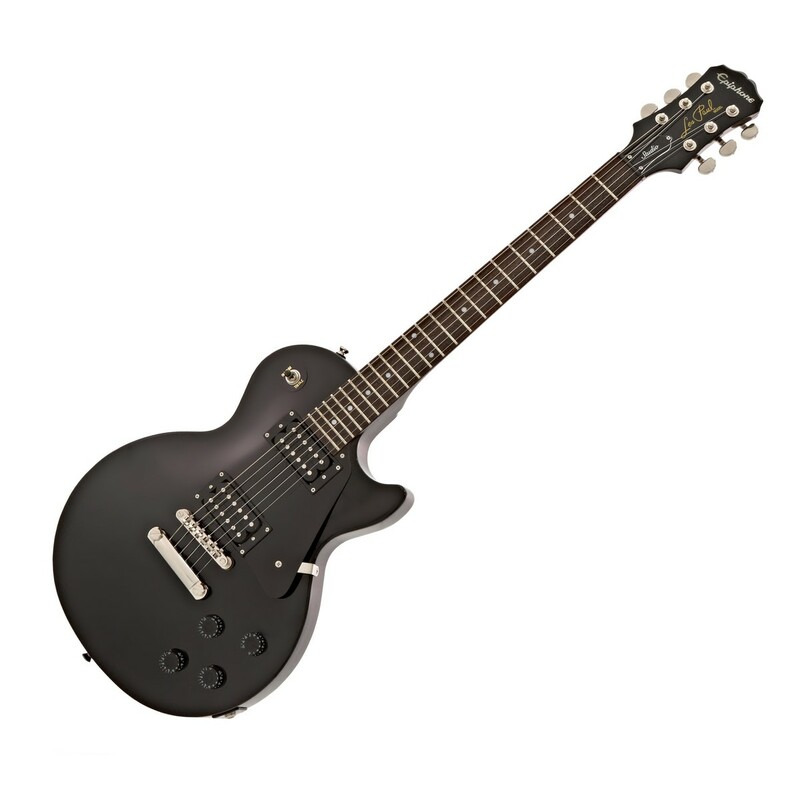 Featuring a solid Mahogany body and hand-set Mahogany neck, along with a pair of explosive open coil Alnico Classic? pickups, this versatile guitar delivers a rich and powerful vintage tone ideal for virtually any style, while the gorgeous Ebony finish ensures that it looks just as good as it sounds. 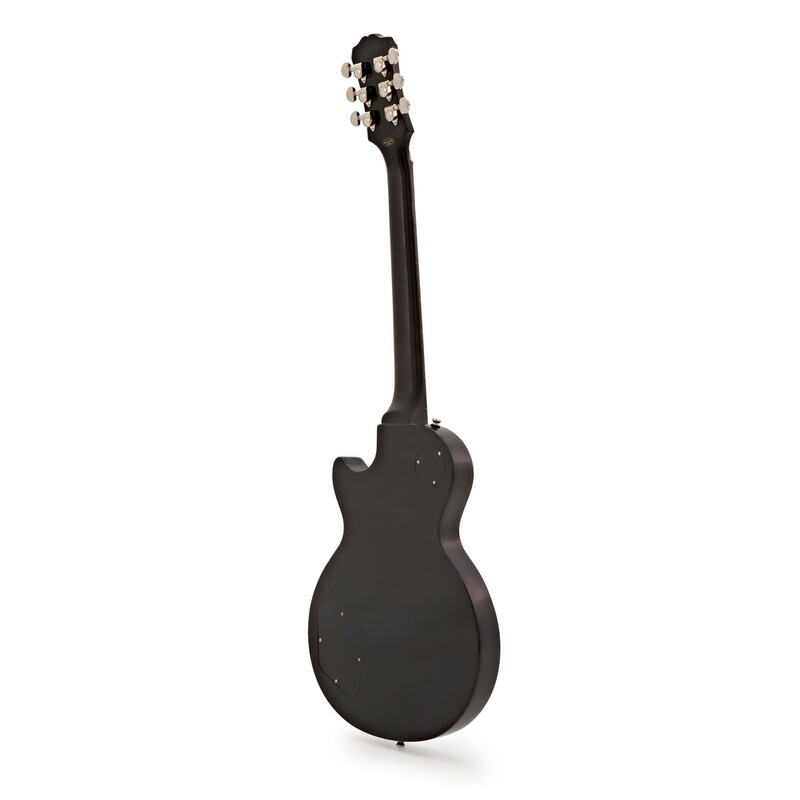 The Epiphone Les Paul Studio features a solid Mahogany body and hand-set Mahogany neck, providing it with rich sustain and a smooth, full-bodied tone. The neck's classic 1960s SlimTaper™ profile is ergonomic and comfortable, as well as giving the neck an authentic vintage feel. 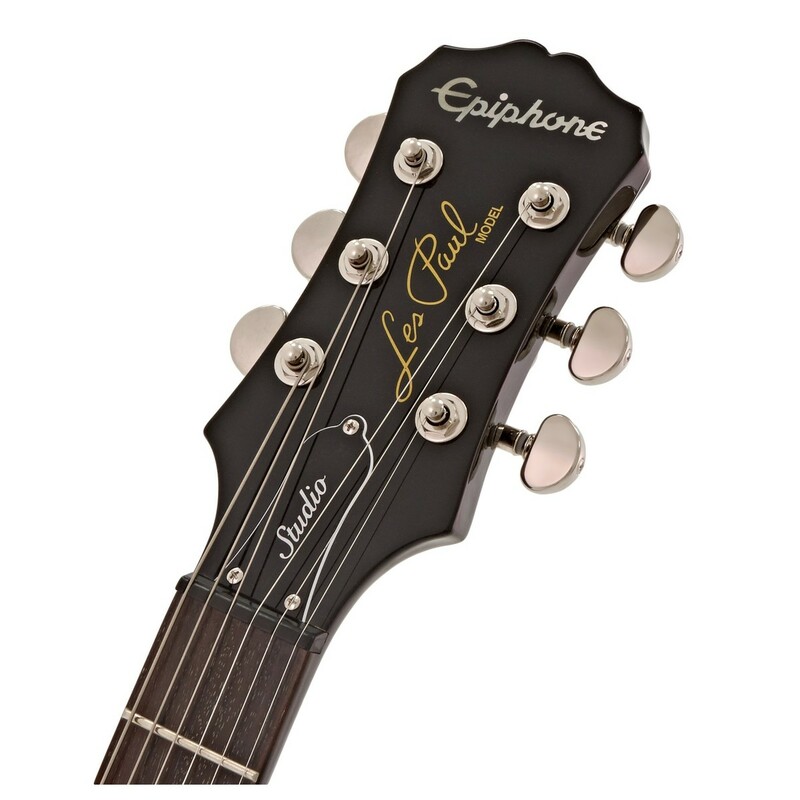 The guitar is equipped with a LockTone Tune-o-matic™ fully adjustable bridge and Stopbar tailpiece, providing supreme control over your guitar's intonation. The guitar is equipped with a pair of high quality Alnico Classic™ open coil humbuckers, providing it with a wonderfully balanced vintage tone. With sparkling highs and a rich, warm low end, these versatile pickups deliver the true iconic Les Paul sound, certain to satisfy guitarists of a wide range of styles and genres.